Gavin McClurg is the current National Geographic Adventurer of the Year. He has twice circumnavigated by sail, including a short-handing rounding of both capes (Horn and Good Hope), totaling 160,000 nautical miles. Gavin founded, captained and is the current owner of Offshore Odysseys, an ocean-based expedition company based around kitesurfing, surfing and paragliding. He currently holds the North American Foot-launch record set from his home town of Sun Valley, a remarkable distance in very large terrain of 240 miles deep into Montana. 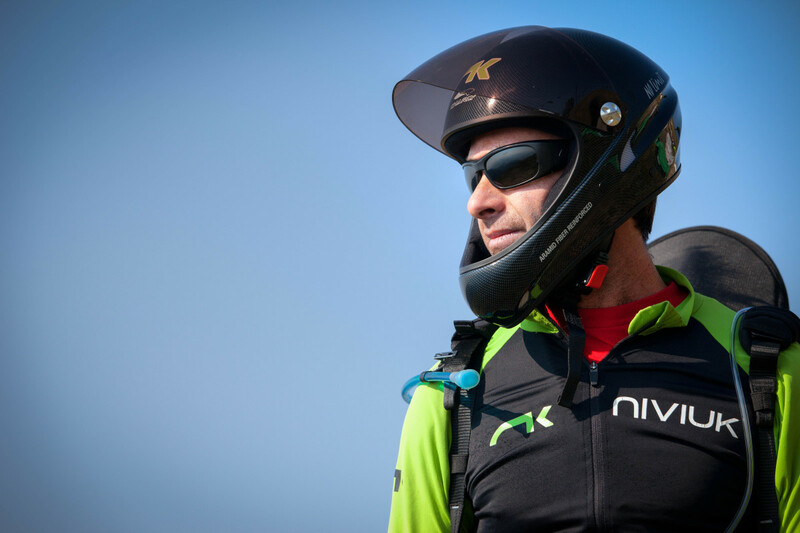 Gavin is a former US Alpine Ski Team member and accomplished Speed Pilot, climber and kayaker with many first descents in North America and internationally. 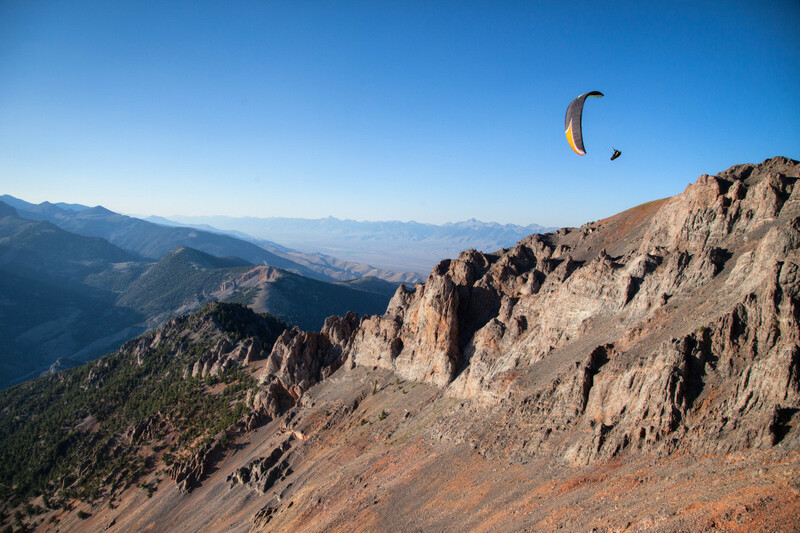 Gavin heads a production company “Cloudbase Collective”, which has produced a number of short paragliding films, including the recent award-winning “500 Miles to Nowhere”. A published writer, Gavin runs the high-traffic blog, Cloudbase Mayhem (www.cloudbasemayhem.com), and has authored countless magazine features. I am currently training hard to compete in the 2015 Red Bull X-Alps, billed as the “hardest adventure race on Earth”. It is a paragliding/foot race across the European Alps from Salzburg to Monaco, a distance of nearly 1100 kilometers in a straight line (the distance covered will be over twice that). The race starts July 5th, 2015 and takes 10 days to 2 weeks to complete. There are 32 athletes. 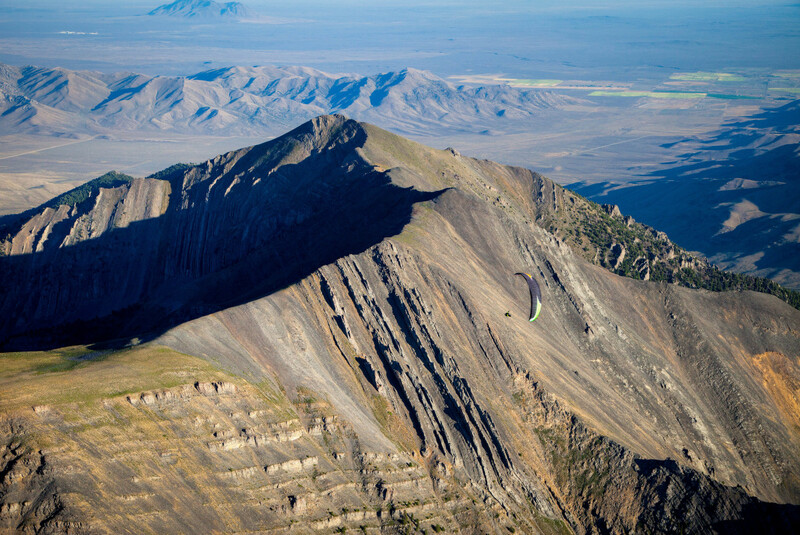 In 2016 I will partner again with Will Gadd to paraglide across the Alaska Range. This will be another Red Bull expedition similar to the one completed in 2014 across the Canadian Rockies which won the National Geographic Adventurer of the Year award. My greatest achievements to date have been a 35 day paragliding expedition across the Canadian Rockies with mountain legend Will Gadd in August/September 2014 and sailing around the world twice. Paragliding is extremely dangerous. Many people are hurt, crippled and killed every year. 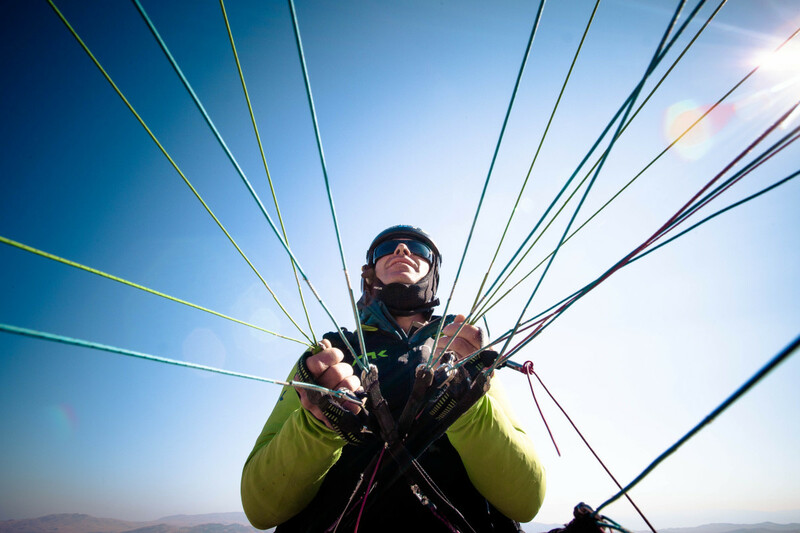 I participate in a very fringe aspect of the sport called “vol biv”, or “fly camp” where we cover huge distances by paraglider and have everything on our backs to survive for many days. 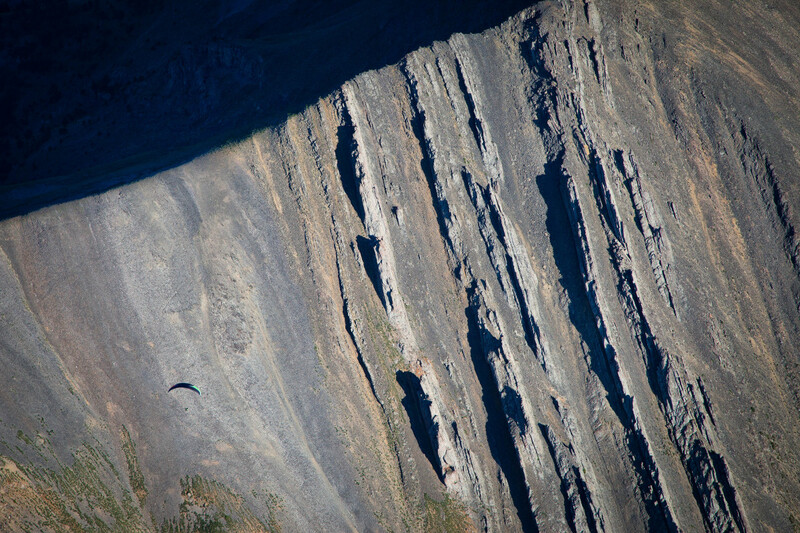 This way of travel by paraglider, without an engine is considerably more dangerous than typical paragliding and requires a very elite skill level. 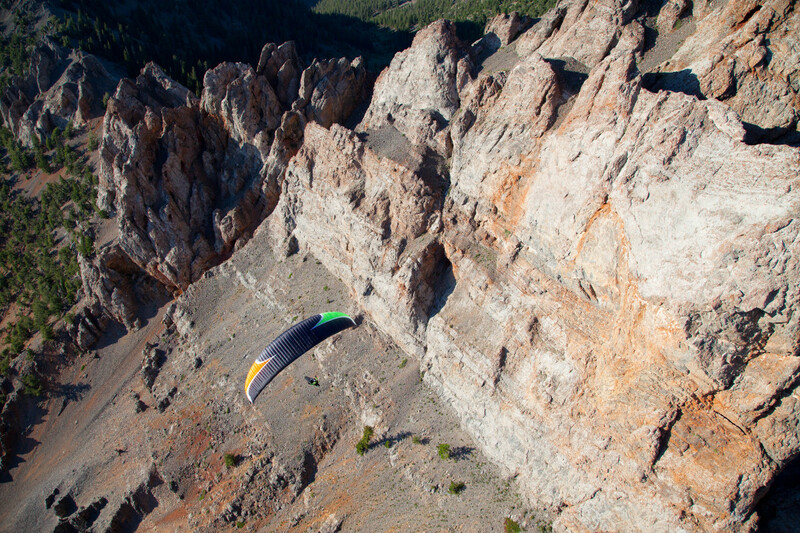 For me paragliding is the ultimate freedom. Every time we launch off a mountain we have no idea where we will end up, nor when we will get there. Like running rivers, it is an incredible way to see the world. 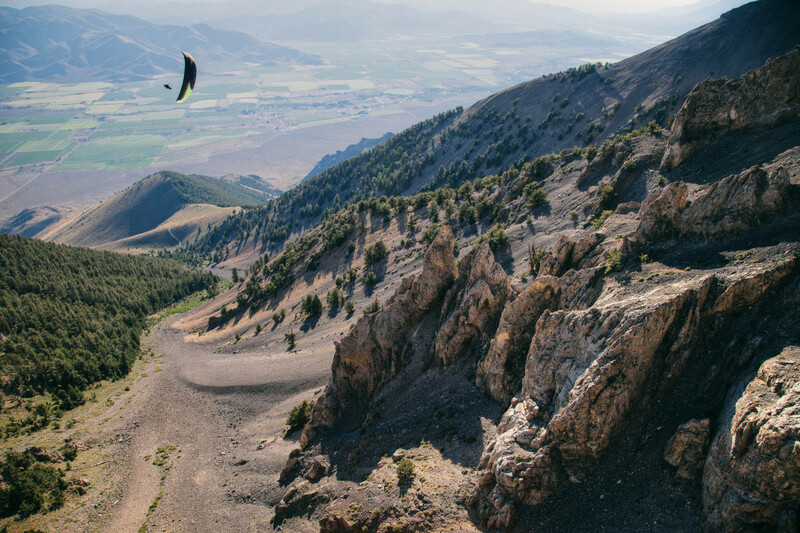 I moved to Sun Valley, Idaho in 2012 to train as it has some of the most radical mountain flying conditions on Earth. Strong thermals, windy conditions, rapidly changing weather- these things all conspire to make it very challenging and dangerous, but also makes it in my opinion the best place to fly cross country anywhere. In 2013 I broke the North American foot launch record from my home site, a distance of 240 miles. Paragliding is more mental than physical, but because I am training to complete in the Red Bull X-Alps this year my physical training has been intense. Most weeks I will cover the distance of several marathons on the ground, with my pack, which weighs nearly 30 pounds. In addition I will ascend on average 15,000 feet per week and do several strength training sessions in a gym, which resembles Cross Fit. The objective is to be able to cover 60-90 kilometers per day for 2 weeks, and ascend the height of Everest 4 times during the race. My mom. She’s always watched my hairbrained activities since I was a tiny kid. It makes her really nervous but she gets pretty excited when I come home with another story. I want to continue to fly some of the longest and most remote lines in the world. We have barely touched the surface. Be careful and take it slow. Paragliding hurts a lot of people.